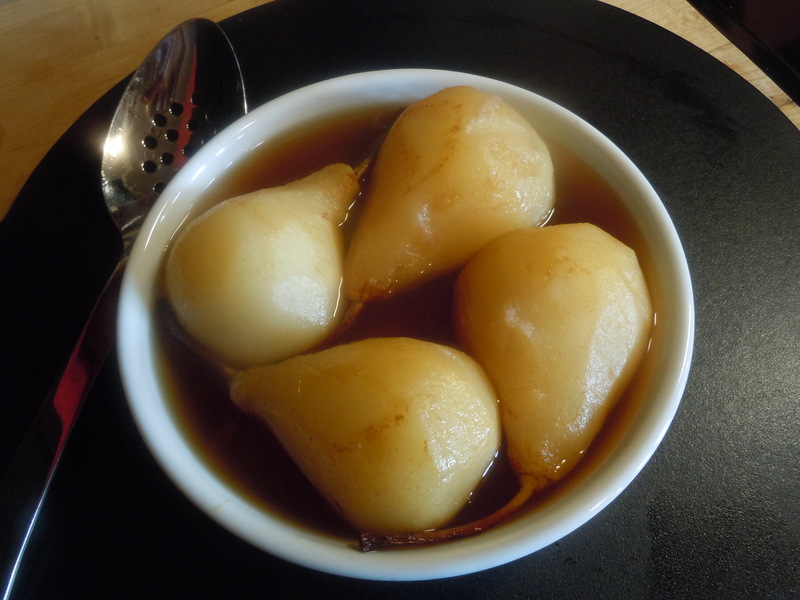 Lay the peeled pears on their side in a medium saucepan. Add the wine and spices. Bring to a boil. 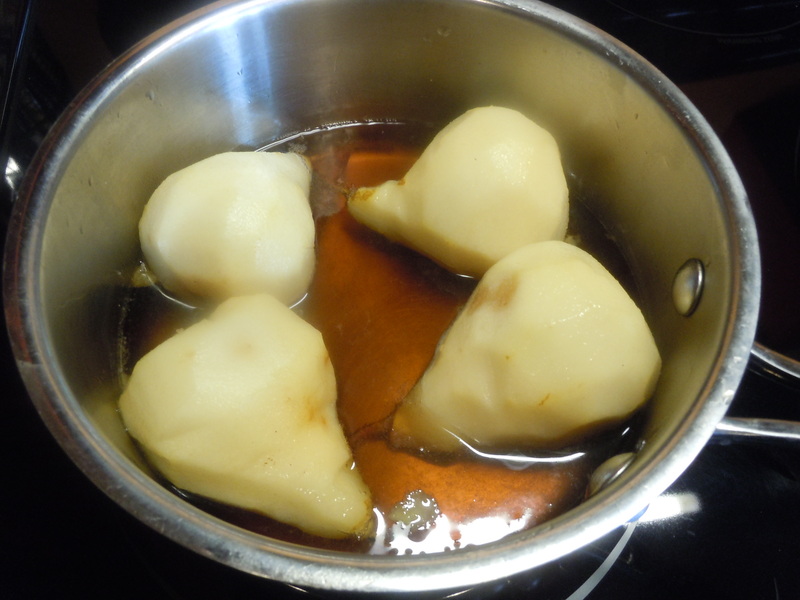 Reduce the heat and poach for 30 minutes turning the fruit occasionally to cook and color evenly. 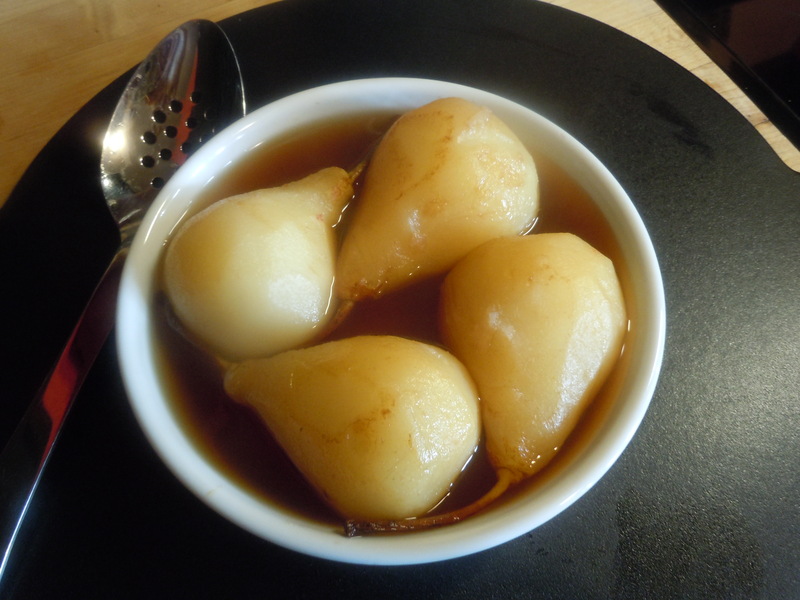 Discard the spices then refrigerate the pears in the poaching liquid. 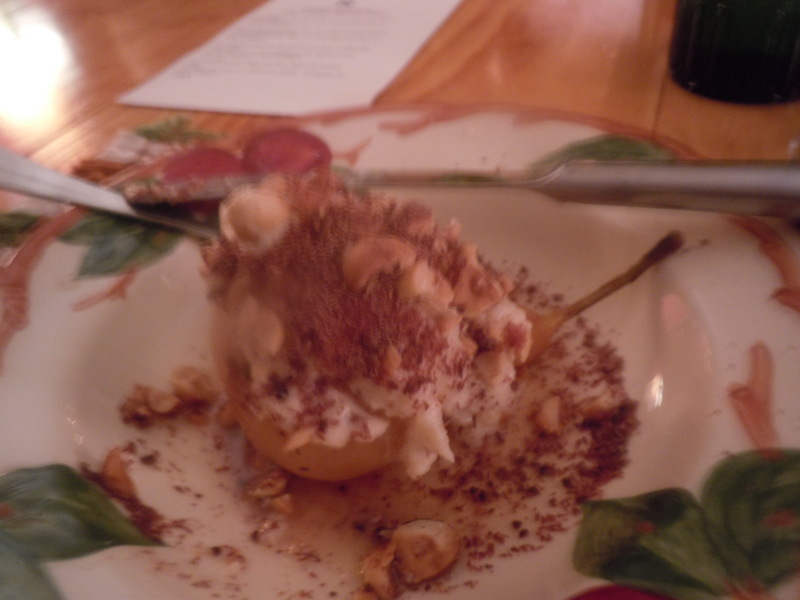 Note: Bring the pears to cool room temperature before serving. Combine the cheese and the liqueur to form a thick sauce. 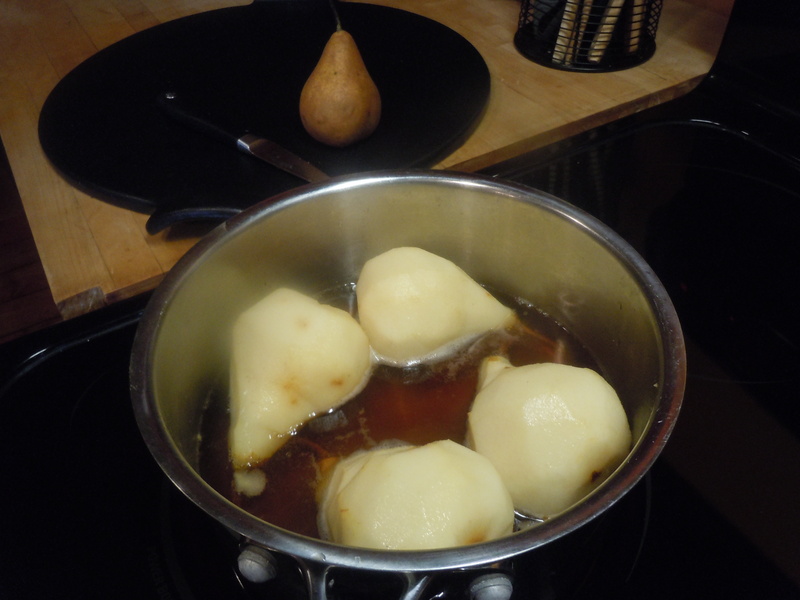 Stand the pears upright in the poaching liquid. Sprinkle with the toasted hazelnuts and grated chocolate.